Caprock Chronicles is edited by Jack Becker, a Librarian at Texas Tech University. This week’s essay is written by John McCullough, author and aviation historian living in Lubbock. The essay reviews the deaths of Lund C. Stucki and Lynn W. Dobbs in August 1943 just after their aircraft lifted off from Dagley Field southwest of Lubbock during a routine training mission. Clent Breedlove and his staff of pilots, mechanics and office workers ran a very efficient flight service during the Second World War. 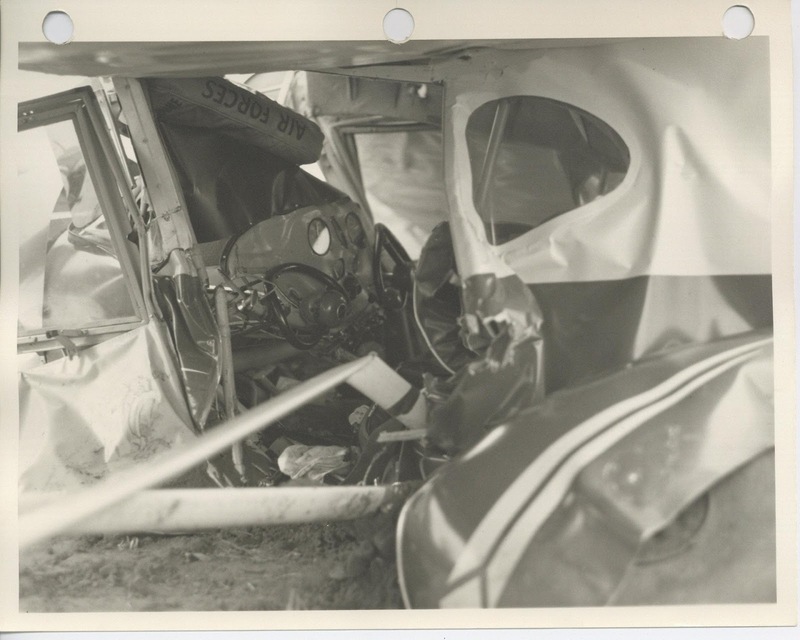 During its period of operations, from August 1939 through May 1947, Breedlove Aerial Service experienced only three deaths and one serious injury due to airplane mishaps. This was a very small number of fatalities compared to the estimated 8,300 students who trained through Breedlove Aerial Service. The first death occurred near Plainview in March 1943. The second two deaths happened in August that year near Dagley Fiesouthwest of Lubbock. 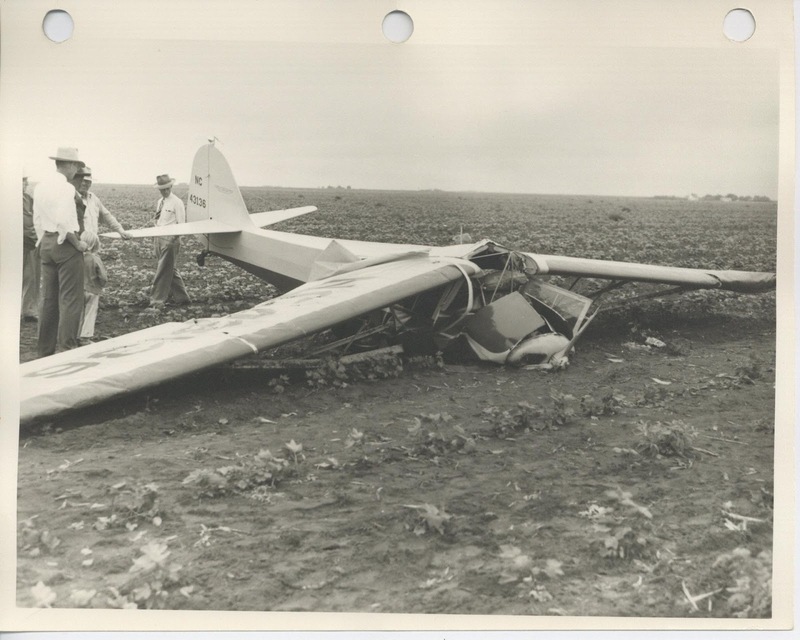 The instructor of the aircraft, L. W. Dobbs, and his student, Lund C. Stucki, died in the crash. Lynn W. “Cotton” Dobbs was an instructor pilot for Breedlove Aerial Service during the Second World War. He taught student pilots in the 309th College Training Detachment (CTD) at Dagley, located at 34th Street and Dagley Road (later Quaker Ave). He was a native of Windham Springs, Alabama and born in October 1907. Lund C. Stucki, son of Ezra Stucki, was a pre-flight cadet in the 309th CTD. He came from Rexburg, Idaho. He was 23 years old when the light plane he was piloting, a Taylorcraft L-2, crashed shortly after takeoff from Dagley Field about 2:30 p.m.
After receiving classroom instruction at Texas Tech, the students in the 309th CTD were bused to Dagley Field or Breedlove Airport (located on East 50th Street) and given 10 hours of primary flight training. The 309th CTD operated at Texas Tech from February 1943 through June 1944. Shortly before the fatal crash, in March 1943, Clent Breedlove assumed operations at Dagley Field and trained students in both the Civilian Pilot Training Program (CPTP) and 309th CTD. Harold Humphries was chief instructor pilot for Breedlove Aerial Service from 1943-44. He remembered the Stucki-Dobbs crash, “It was about two in the afternoon, very hot, and he [Stucki] just stalled out in his attempt to get across a fence. He was flying a side-by-side Taylorcraft. One other student in the 309th CTD died before the Stuck-Dobbs crash. His death occurred as a result of scarlet fever during the initial period of the history of the Detachment,” said Captain Joseph N. Tillman, Jr., Detachment Surgeon of the 309th CTD. Humphries also said that the inspector from the CAA questioned him about why they were flying during the hottest time of the day. After gathering data from the National Weather Service, Humphries informed the CAA that the hottest time of the day was between 5 and 6 a.m. and not earlier in the afternoon when the crash happened. The funeral for L. W. Dobbs was held at 7 p.m. on Thursday at the Littlefield Methodist church. The Rev. C. Frank York, pastor of the Littlefield First Methodist church, accompanied by Rev. J. H. Sharp, pastor of the San Jacinto Methodist church in Amarillo, led Dobbs’ funeral service. Fellow instructor pilots from Breedlove Aerial Service served as Dobb’s pallbearers. The pallbearers were Quinn Henry, Hal Stansell, Charles Akey, Cliff Dean, Kirk Dean and Jack Henry. Hammons Funeral home directed the burial. In addition, to the funeral service at the Littlefield church, the Avalanche-Journal reported that a Masonic service was held at Dobbs’ graveside in Littlefield. Dobbs was survived by his wife and two sons, Joe, 10, and Jeri, 8, along with his mother, Mrs. L. W. Dobbs, of Littlefield. According to the Avalanche-Journal, Cadet Edwin A. Capps of Stucki’s squadron accompanied his classmate’s body home to Idaho. Harold Humphries is now 104 years old and resides at a senior living facility in Dallas.